Alternative Investment to Stock Market-Central OH Information! This is investing for income now! Alternative Investment to Stock Market is what many people are looking at these days. The investment definition of alternative investment to stock market according to CORI LLC, is an investment in Central OH Real Estate secured by a first position lien and mortgage. CORI LLC ( more info ) is offering performing notes to passive investors or Central OH Note Buyers. All of the real estate notes are discounted and secured with 30% equity in every property from day one. To learn more about Central OH’s safe investments with high returns click here. This type of investment is secured by the property itself and the 30% of equity created by rehabbing and improving the property from the distressed state. 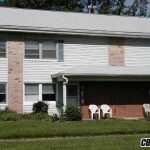 Central OH Real Estate Investment LLC buys unwanted properties and also distressed real estate. The property is then rehabbed to the after repair market value of other properties in the area. CORI LLC then creates a performing note and sells a partial note in order to recapture the acquisition and rehab costs invested in the property. The investing ideas that make up CORI’s business model are simple. We follow the rule of all in at 70% of after repair value for the area, on all buy, rehab, and sell properties. Our buy, rehab and hold model, is based on an all in value, of 80% of after repair value for the area. These deep discounts and high equity in all of CORI’s high yield investments, is what gives the passive investor security over any investment in a hard asset. Central Ohio has one of the country’s top 10 housing markets according to a study done by Evan Weese Staff reporter from Columbus Business First. The study covered the analysis of 400 metropolitan areas. The report considers price appreciation, along with changes in employment, demographics and mortgage markets to forecast potential housing downturns before they happen. CORI LLC’s investments that generate monthly income are hands off ( unless client wants ) investing. We advise that you spend 1 or 2 hours a month looking over your statement, but that is it! CORI LLC does all the work and shares the profits. We do this in order to recoup our capital so we can buy more houses. Just like a mortgage company or bank does.